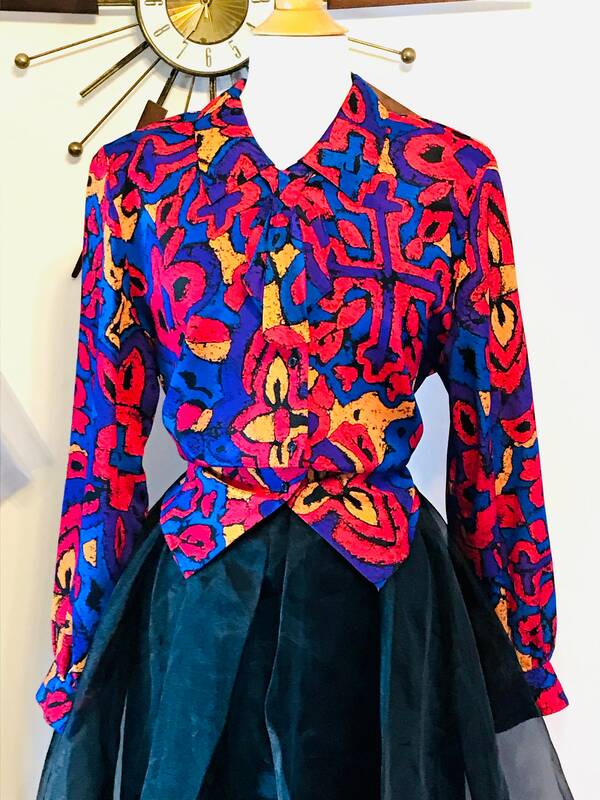 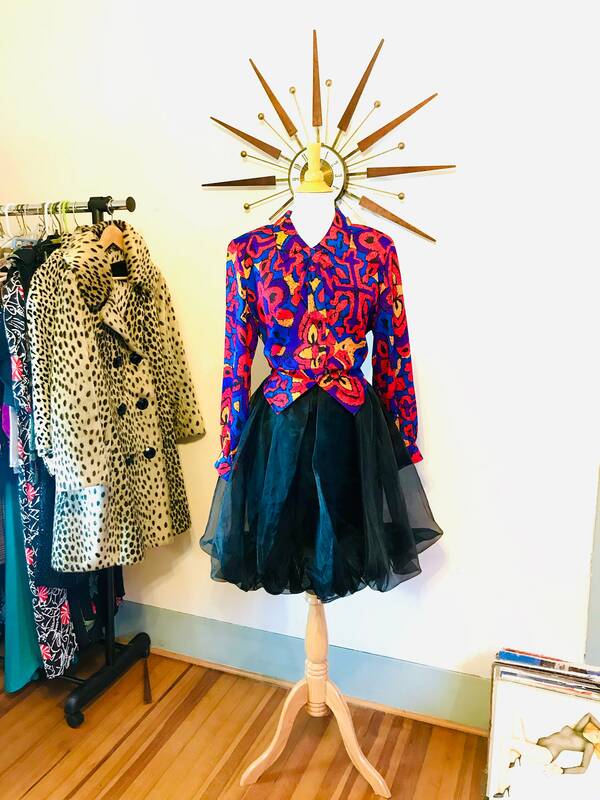 This listing is just for the blouse. 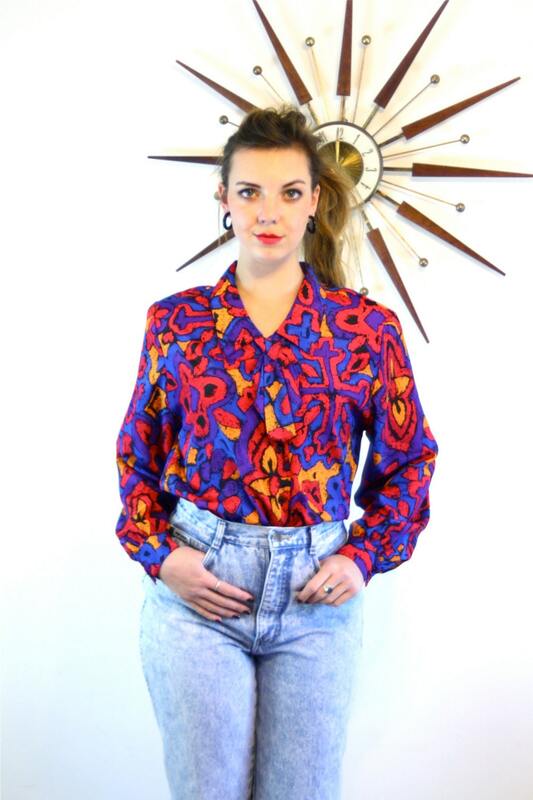 This is such a cool vintage 80s pussybow blouse! 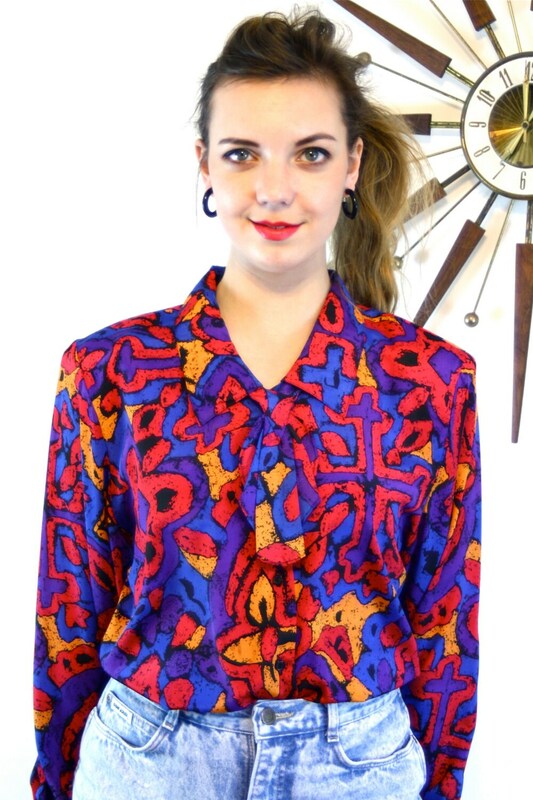 It has a cool abstract geometric print in bright, colorful red, blue, purple and golden yellow! 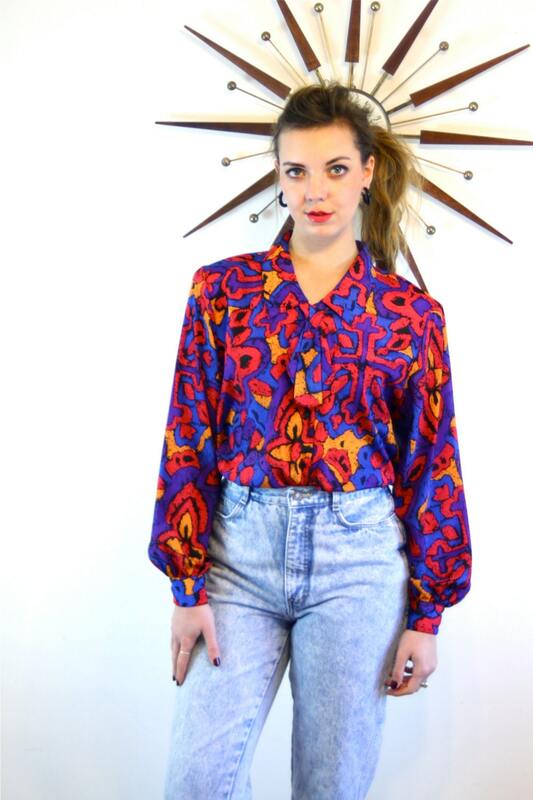 This top has long sleeves, buttons down the front, with a cool ascot, bow under the collar! 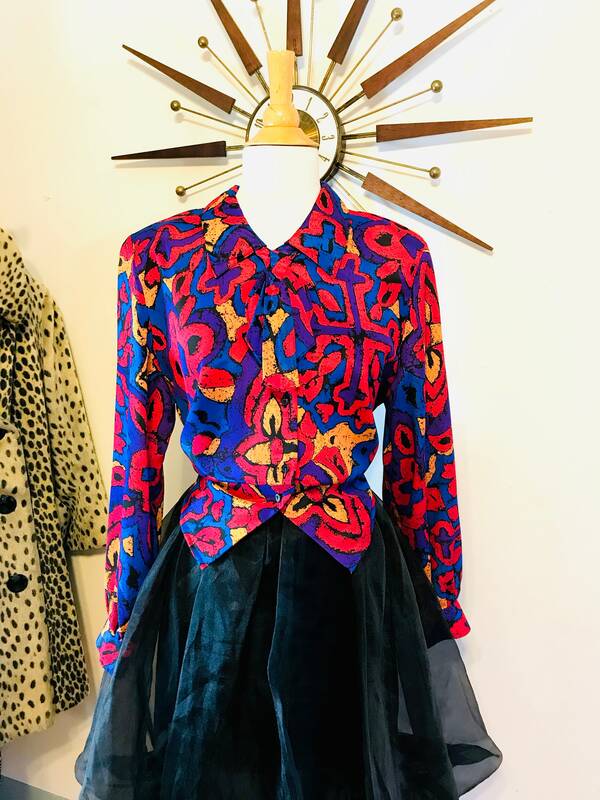 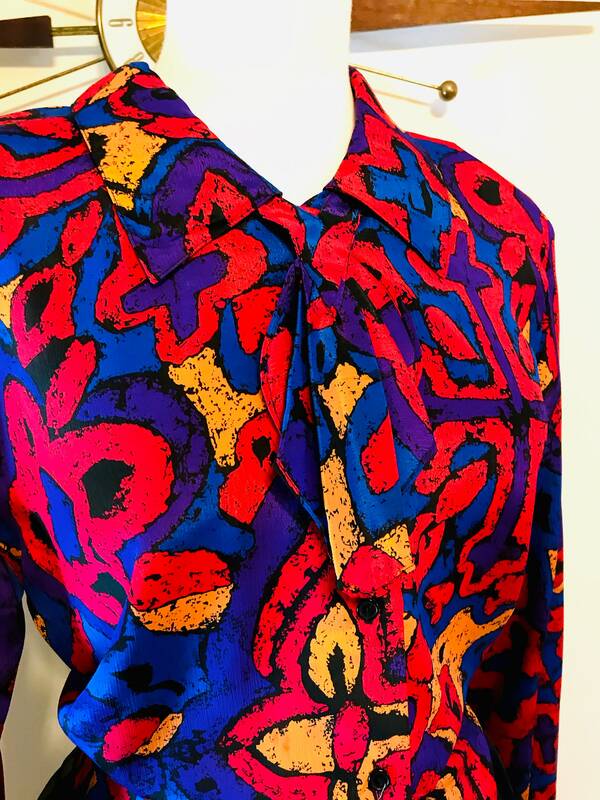 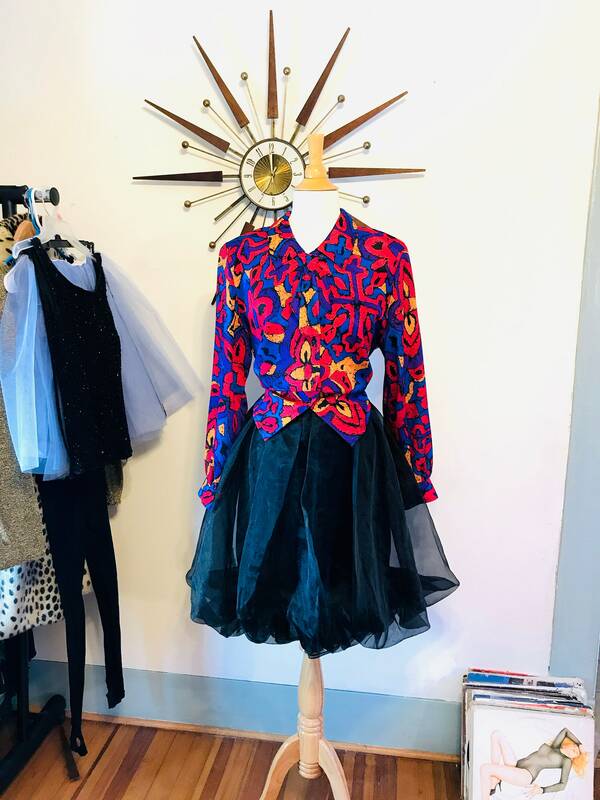 It has big shoulder pads and is a perfect example of a 1980s ladies blouse! 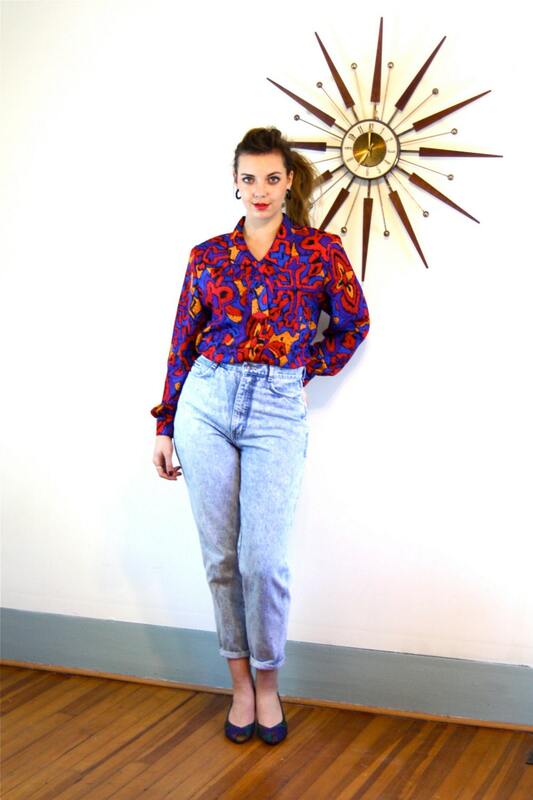 Model Measurements: bust:34", waist:29", hips:40", height:5'9"
80s Acid wash jeans sold.